You all know I love fashion but you probably don’t know that I also love vintage and muscle cars. In fact, I’ve started my own little collection. However, I must admit that collecting vintage fashion pieces is much cheaper than collecting vintage cars. So, yes, I had to contain my excitement when I found out I was granted a press pass to cover the 2nd Annual Concours d’Elegance Vintage Car Show. 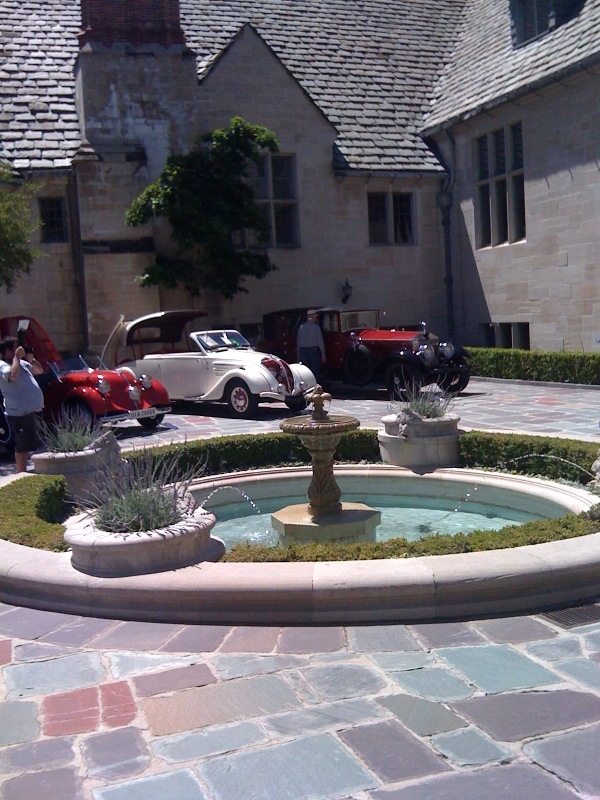 It was a sunny day in L.A. and I couldn’t think of a more perfect way to spend a Sunday than at the beautiful, historic Greystone Mansion checking out gorgeous vintage cars. There were rows and rows of automobiles - everything from a 1928 La Salle 303 Roadster, to a 1934 Voisin C27 Aerosport, to a 1941 Chrysler Thunderbolt. There were Packards, Porsches, Ferraris, Jaguars, Corvettes, and Mercedes-Benz’ from various years. Unique autos were also on display like the 1953 Allard J2X, the 1949 Austin Atlantic Drophead, and the 1903 Cadillac that resembled a buggy. Of course, my favorites were the 1965 289 Cobra, the 1967 Shelby 427 Cobra, the 1968 Shelby Mustang GT 500, the 1965 Mustang Fastback, and the 1957 Thunderbird. Good thing Lisa from RackedLA was there to keep me distracted because if I had a few glasses of champagne I would have found myself the proud but poor owner of the 1957 Thunderbird. 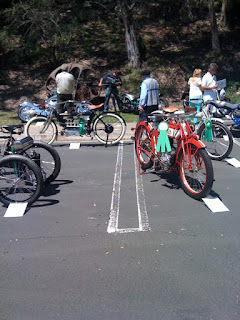 There was also a section dedicated to vintage and unique motorcycles – ranging from an 1899 De Deion Bouton Tri to a 2008 Benelli TREK – 1130 Amazonia. In addition to checking out the sweet rides guests also had the opportunity to tour the estate and listen to guest lectures. A marketplace was set up inside the 55 room mansion with vendors selling fine jewelry, art, vintage toys, automobilia, and some really cool purses made out of wood. Lawry’s provided a very nice spread and there was plenty of beer (Stella Artois), margaritas, (Asombroso Fine Tequila), Bloody Marys, (Blue Angel Vodka), and wine (Jaffe Estate Wines) to go around. Built by the Doheny family in 1928 the Greystone estate is comprised of 18 acres of land. The grounds are spectacular, the architecture is gorgeous, and the view is stunning. 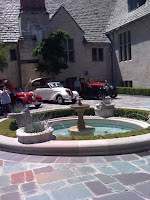 Check out their website, http://www.greystonemansion.org/, for more information on special events and tours and be sure to mark your calendar for May 6th 2012 because that is when the 3rd annual Concours d’ Elegance is scheduled to take place. That Mustang Fastback is to die for. Le sigh. Does anyone in the club have a precious D-Type Jaguar built between 54 and 57? It's a great car, if I were to buy my own vintage car, this will be the first car that I'll buy. After that, any car from used cars long island would be added to my collection. Investing to some vintage items especially to cars will cost you a lot that's why it's always have a savings for it. If ever you wanted to buy some vintage stuff just make sure you will not be at disadvantage, particularly if you have a bad credit record for car loans cause they might use it against you.